Alpine Wireless 3G phones are being phased-out and by 2020 all 3G phones will fail. What does that mean to for 3G wireless customers? We encourage you to upgrade to a 4G LTE device before your 3G phone becomes obsolete. Hurry! 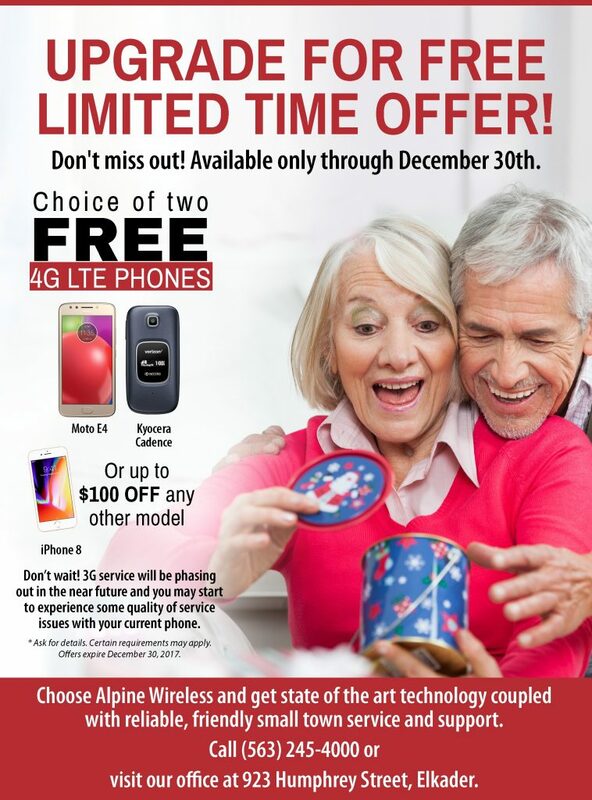 Alpine Communications has special VIP pricing for you on new 4G LTE phones through December 31, 2017.